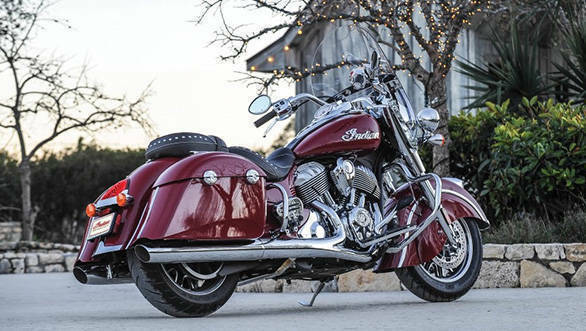 Classic bike maker, Indian Motorcycle has revealed the Springfield, a new addition to their retro styled cruiser line-up. The Springfield, named after the birthplace of Indian Motorcycle, features a removable quick-release windshield and remote-locking all-weather saddlebags. Both of these can be removed without tools. The Springfield is expected to be be launched in India shortly. The new motorcycle looks similar to the Chief Vintage. However, the company maintains that the Springfield was developed with a different chassis capable of carrying higher loads. 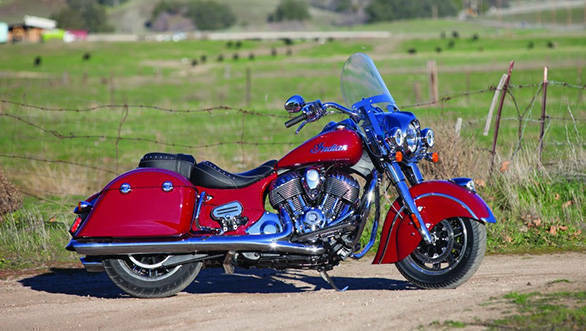 The Indian Springfield, like the Chieftain, Chief Vintage and the Roadmaster, comes with a Thunderstroke 1811cc V-twin motor that puts out 139Nm of torque. Power is transferred to the wheel through a belt drive and a six-speed gearbox. The company claims that the Springfield can carry a total weight of 242kg which includes that of passenger and luggage. The Springfield has a dry weight of 372kg. Features such as ABS, tyre pressure monitoring system, cruise control, dual riding lights and remote locking will be offered as standard on the Springfield. The company will also offer a host of accessory options such as low and tall windshields, heated rider and passenger seats, soft lowers (for engine and wind protection) and heated grips. 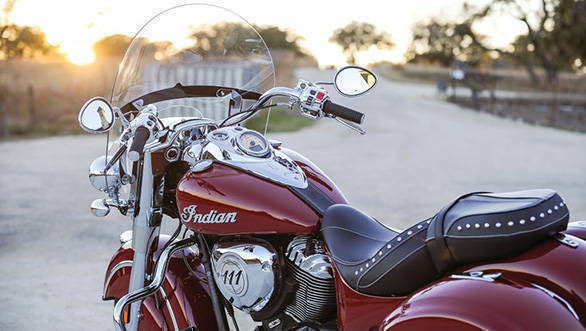 "The new Indian Springfield wasn't designed to fill a space in our lineup; it was built to fill a space in the hearts of riders who value the rich heritage and fine craftsmanship of Indian Motorcycle and who want both a pure touring bike and a sleek urban cruiser," said Steve Menneto, President of motorcycles division, Polaris Industries. He further added, "The Springfield's unmatched versatility will win the hearts of motorcycling purists around the world."